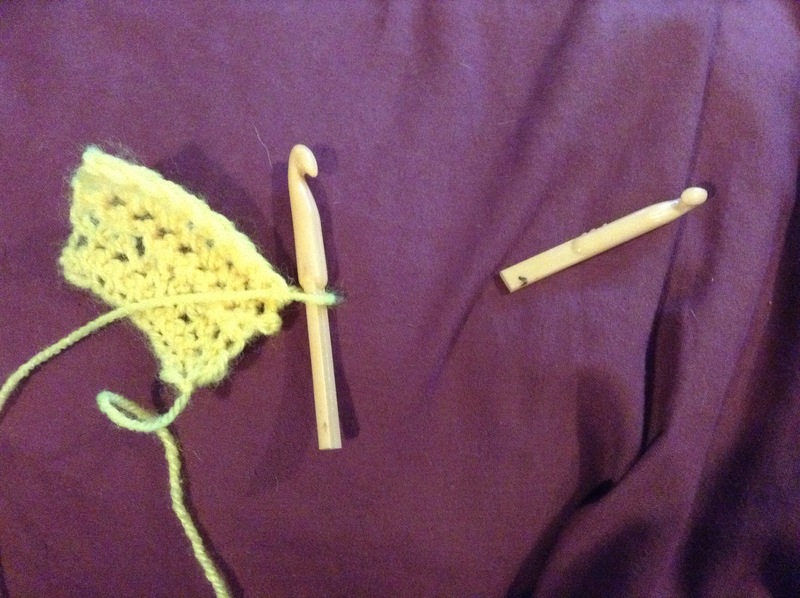 This is my progress so far on the first crochet project. 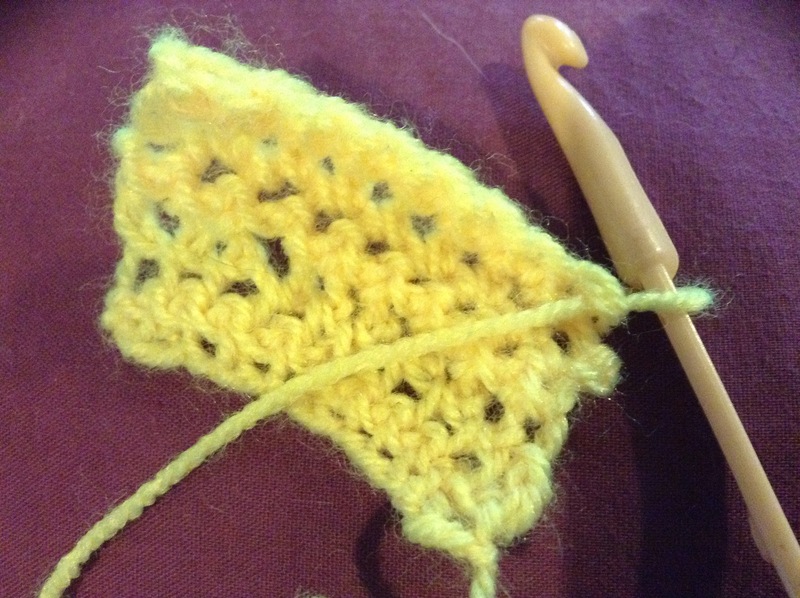 It’s starting to look kind of bag like and I definitely feel like I have got the hang of chain and single crochet. Result! 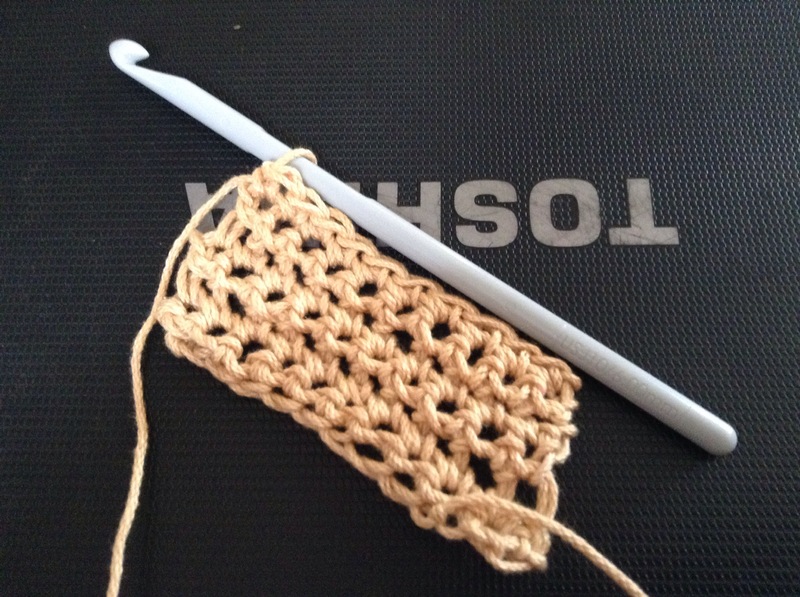 I’ve practised the single crochet enough that I am now convinced that I know what I am doing, so it’s time to be brave and tackle an actual project to put my new skills to the test. 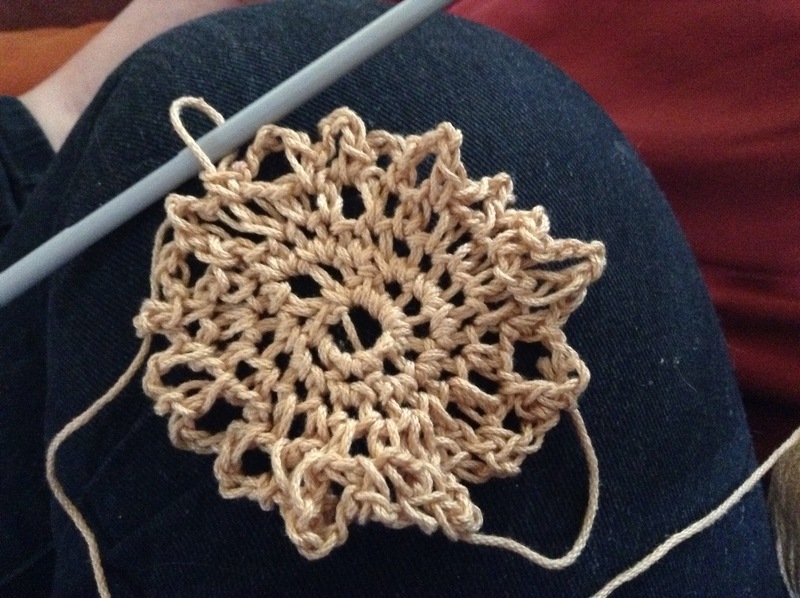 Strangely enough there aren’t vast numbers of projects for a total beginner, they all seem to expect you to know double crochet and all sorts of other obscure magics that I have yet to attempt. I could just make squares and call them dishcloths – and don’t think I’m not tempted – but that would feel like too much of a cop out so I have searched the internet and finally found something I think I can manage. This shopping tote. 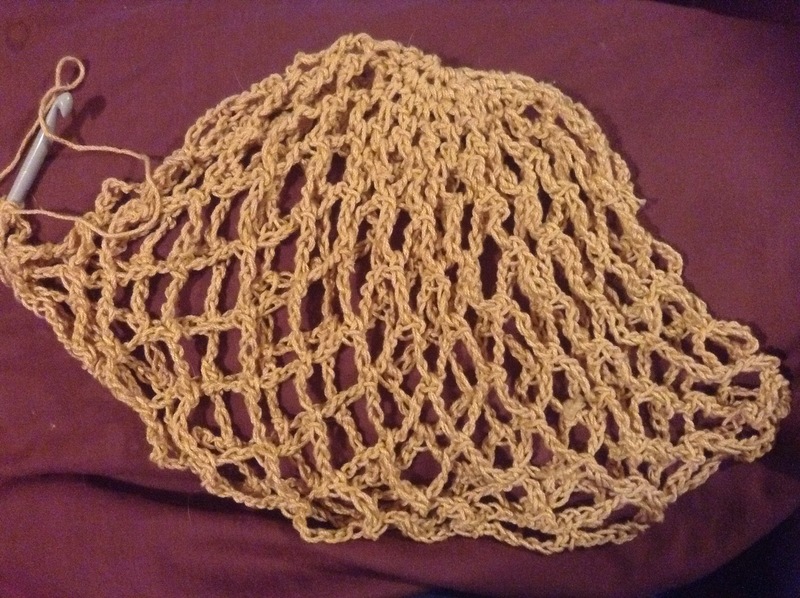 It’s pretty much just single crochet and chains so it really can’t get any more basic than that. Gary tried to carve one for me from a stick but it disintegrated when he tried to sand it smooth. Looks like I need to buy a hook or two. 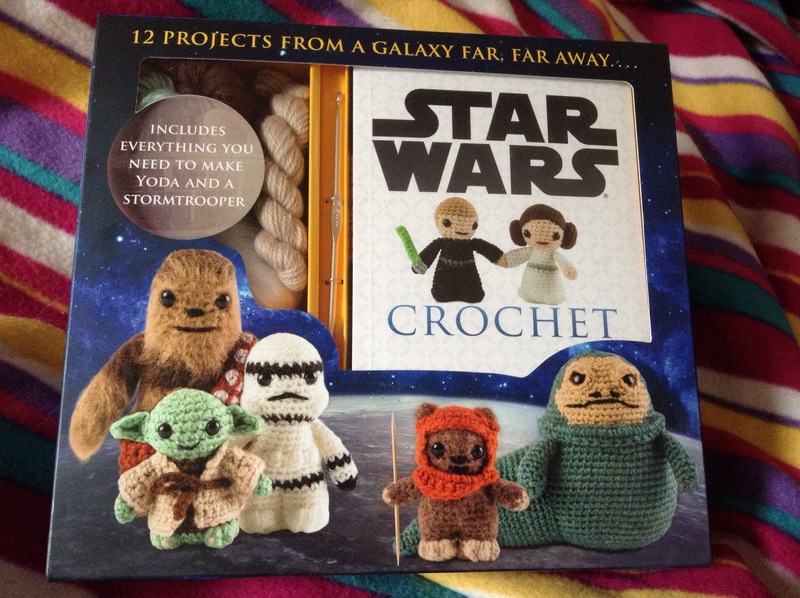 My mission for this year is to learn how to crochet. I have a vague idea how it works, my friend Pam tried to teach me at an alt.fan.pratchett meet some years back. I was sort of getting there, but I didn’t really try again after that couple of days in a field so I never really got the hang of it. I’ve got loads of wool and I’ve managed to find a couple of crochet hooks in amongst the knitting needles I’ve picked up at car boot sales etc so I should be all kitted out. Next step – watch some how to videos on youtube and see if I can find a really easy project to start with.